Wow! 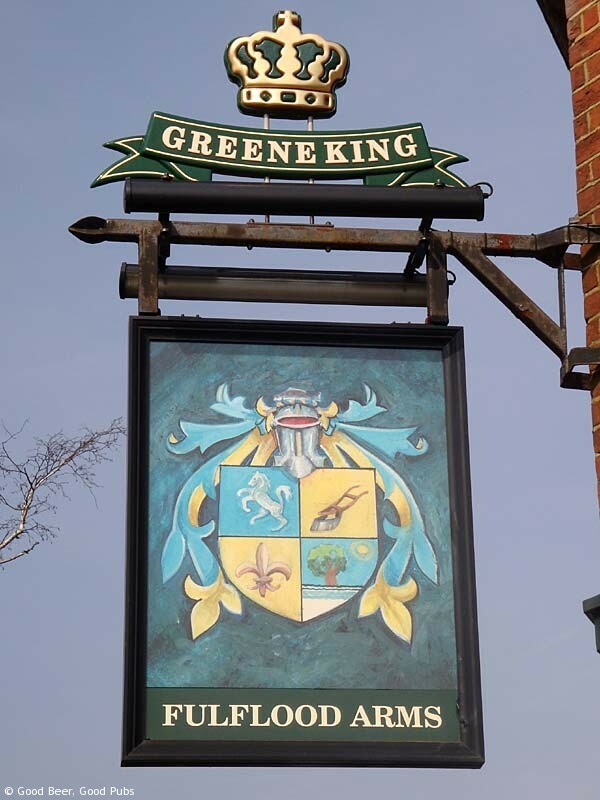 Amazing to find a Greene King pub with so many non-Greene King beers. Looked like 5 different real ales available on my last visit including the excellent Itchen Valley Pue Gold which I tried. As well as the Greene King IPA there were also beers from Triple FFF and Bateman’s. And in a new development, they do stock beers from their own brewery. The pub is situated in residential streets about 5 minutes walk west of the station. 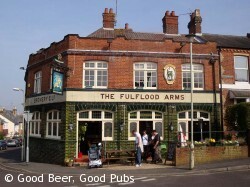 I believe the pub has recently been refurbished and the interior is very clean and bright – but not harshly so. The toilets are clean too. There is a small garden out the back but better for summer – not cold winter evenings. Unfortunately the Fulflood no longer does food. Overall the pub seems very welcoming although there aren’t always many customers. 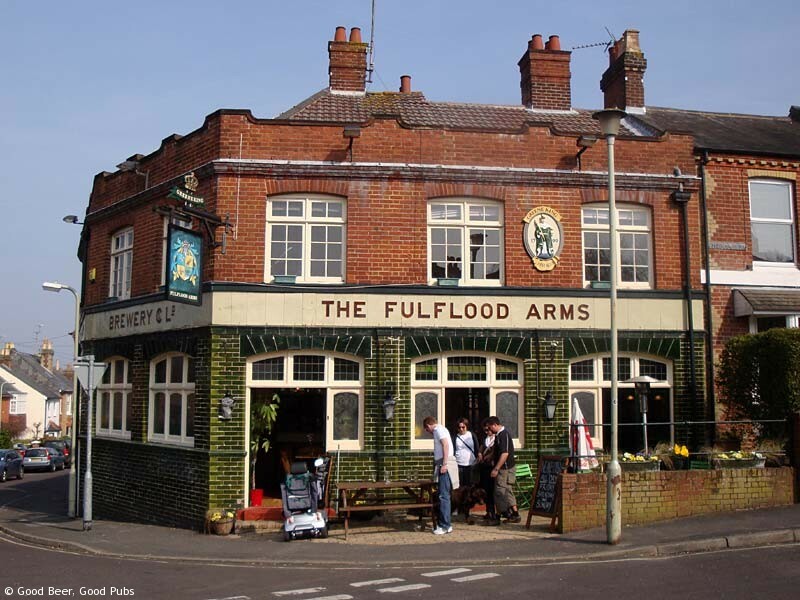 The pubs newsletter, the ‘Fulflood News’ lists all the upcoming events at the pub – including the regular Wednesday night quiz, and occasional live music. This pub is certainly worth a visit.